The Spinsterhood Diaries: Hooray for One Whole Year! Today, dear spinsters, marks one year of The Spinsterhood Diaries. Because of this blog, in the past year I've learned how to make gifs, experimented with kraft paper drawing, travelled to London to meet the Glipho Team, started drawing in photoshop, and met some pretty fun people. I've thoroughly enjoyed myself, and while I'm both unsurprised and a little disappointed to still be a spinster, I think writing this blog has made me really appreciate some of the best things about being a single lady. That, and it made me feel a little more productive while I watch ridiculous amounts of Netflix. In celebration of this milestone, and for my own enjoyment, I (sort of hastily) put together a book of my favorite illustrations from the year. Ok, ok...I didn't edit out many. The book has over 150 illustrations, and i can't wait for it to get here! 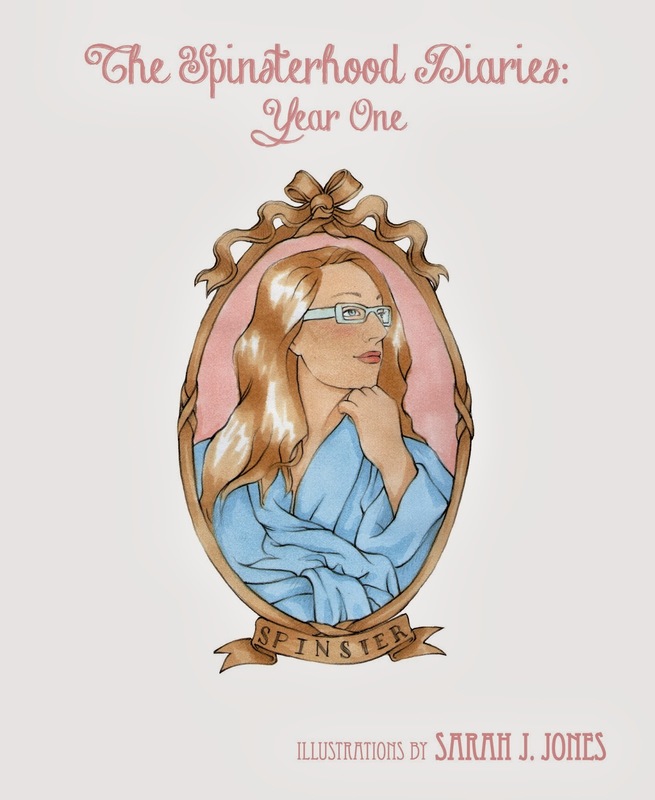 The Spinsterhood Diaries: Year One should be arriving on my doorstep within two weeks...and on my mom's doorstep around that time, too. That's one of the best things about moms, really. You can always count on them to be excited for you. And a spinster needs that.